No. 24 BYU women’s volleyball swept Portland in a three-set match (25–17, 25–16, 25–13) on senior day Nov. 16 in the Smith Fieldhouse. 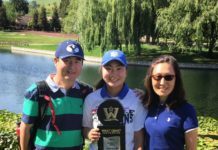 BYU improved to 22–5 on the season and 15–3 in the WCC and also built upon its home-game winning steak with a total of 26 wins since 2011. The seniors honored in this match were middle blocker Kathryn LeCheminant, outside hitter Jessica Jardine and middle blocker Kimberli Boswell. Jardine finished the match with eight kills, five blocks and three digs and LeCheminant added six kills and five blocks. Jardine talked about her last experience playing volleyball in the Smith Fieldhouse with her teammates. In the first set Portland (0–25, 0–16 WCC) gained a quick 1–4 lead on BYU until a series of Kathryn LeCheminant kills brought the Cougars on top at 13–9. BYU kept the pressure on Portland with smart plays that required the Pilots to stay on their toes. Alexa Gray finished the first set with a solid outside kill at 25–17. In the second set a Jardine kill ended a long rally and pushed the Cougars ahead 7–2. 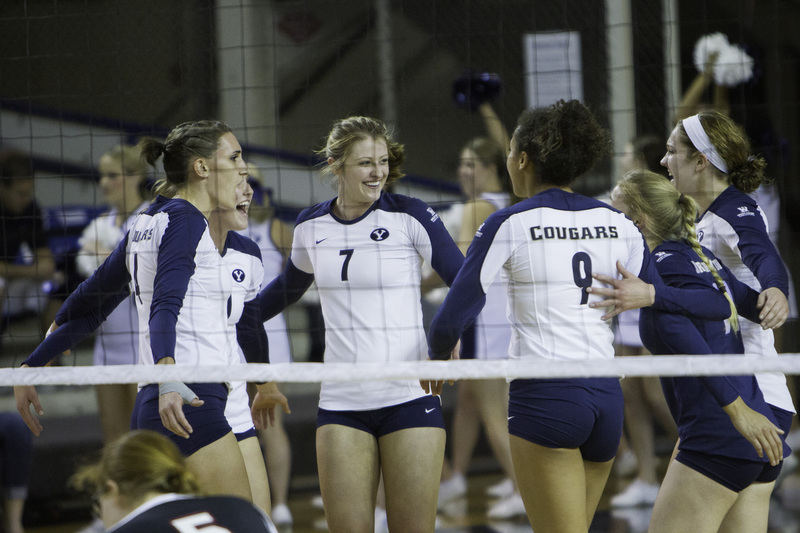 After a series of scrappy plays made on both sides of the net, Gray killed the ball to add to BYU’s lead at 19–11. A strong outside kill from junior Tambre Haddock put the Cougars at game point 24–14 and a Pilot error gave the second set to BYU 25–16. 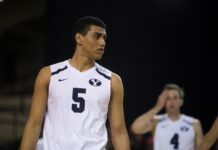 In the third set the two squads traded points until Jardine put down an outside killing gaining a slight BYU edge at 4–3. Portland put up a fight on defense and tied the game at 9–9 and again at 11–11. The Cougars held a significant lead at 21–12 forcing the Pilots into a timeout late in the set. Gray put the match away 25–13 with a kill out of the back-row. 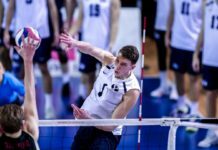 BYU travels to California next week to face off against San Diego on Nov. 23 in the last conference match of the season. BYU is tied for first place in the West Coast Conference with San Diego. Hannah George is a sports reporter for The Universe and is majoring in Public Relations.